URUGUAY SET out in pursuit of the holy grail of World Cup 2015 qualification this weekend, having missed out on a place at the last two World Cup finals tournaments by a whisker. Los Teros have reached the final stage of qualifying – the repechage final – on the last two occasions. 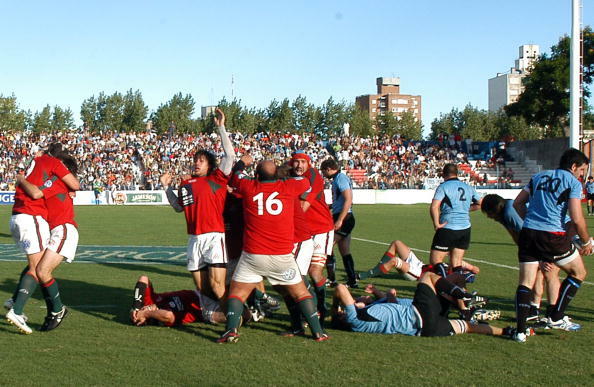 They were pipped for a place at the 2007 World Cup by Portugal by a single aggregate point after their two-legged clash and then lost out at the same stage to Romania in their bid to qualify for RWC 2011, this time drawing 21-21 at home but losing 39-21 away. Now Uruguay are going into battle with their nearest neighbours in CONSUR A (the Confederation of South American Rugby championship), hoping to beat Chile and Brazil for the right to meet either the USA or Canada in the play-off for the Americas 2 qualifying place. Canada and the USA play each other over two legs in August, with the winners going straight to RWC 2015 as Americas 1 and the loser playing the South Americans. The odds are stacked against Brazil, who need to reverse a run of ten consecutive defeats against Chile and 13 in a row against Uruguay. Chile also have their work cut out, as they have only beaten Uruguay in one of their last 11 meetings, but that was just two years ago when they came out on top 21-18. The prize for the team which qualifies at Americas 2 is a place in Pool B with South Africa, Samoa, Scotland and Asia 1. Americas 1 (the winners of USA v Canada) go into Pool D with France, Ireland, Italy and Europe 2. The Americas team which goes into the repechage will play an Asian nation, then the winners of that one-off tie will battle it out over two legs with the winners of a clash between countries from Europe and Africa. The repechage winners will end up in the very strong Pool A with Australia, England, Wales and Oceania 1. Saturday, 27 April – Chile v Brazil. Saturday, 4 May – Uruguay v Chile in Montevideo. The teams also play Argentina, as it is the South American Championship, but Argentina have already secured their place in the 2015 World Cup. 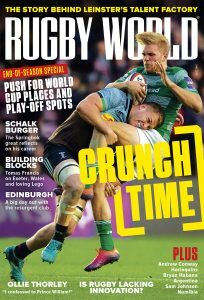 The June edition of Rugby World magazine includes an informative and entertaining look at the colourful world of rugby in Brazil, ahead of the 2016 Olympic games. Don’t forget to buy your copy – it’s on sale from 7 May.